Once mesothelioma is diagnosed it must be staged. This staging criteria allows the physician and patient to know how extensive the diseases and what would be the best treatment. By performing biopsies, tests such as CT scans, MRI and physical exams will allow a more accurate prognosis as well. A cervical mediastinoscopy may be performed for malignant pleural mesothelioma to determine whether the disease has spread to the lymph nodes of the mediastinum (the area between the lungs). The American Joint Committee of Cancer is the Most Commonly Used Staging System for Cancer. The letter T represents the tumor and how much it has spread through the body. The letter N describes the spread of cancer, is it in the lymph nodes? The letter M represents whether it has metastasized to other parts (organs) of the body. T1 would indicate that mesothelioma is in the pleura lining of the lung on one side. It could also involve the diaphragm or the mediastinum. It possibly could have also spread to the covering of the lung. T3 The mesothelioma has continued to grow and has attached itself to the pleura lining of the chest wall, the chest wall of the chest, the diaphragm and the mediastinum. Surgery can still be possible. It has also grown into the at least one of the following the chest wall, the fatty tissue of the mediastinum or the surface of the pericardium. 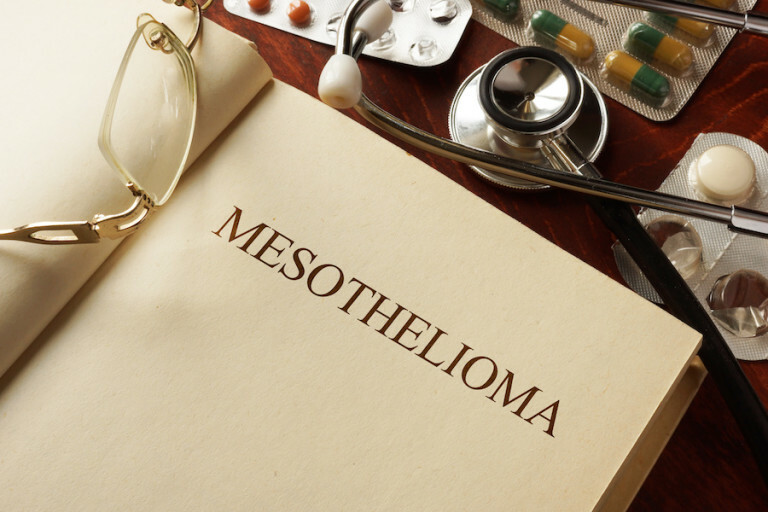 T4 the mesothelioma is unable to be removed because of the extent of the disease. The tumor has grown. It has grown in the pleura lining of the chest wall on one side, pleura coating of the lung, diaphragm and mediastinum. It has also invaded at least one of the following the heart of the pericardium, the other side of the chest, spine and organ and possibly the peritoneum (abdomen). N represents the spread to the lymph nodes. N0 no disease evidence in the lymph nodes. N1 spread to the lymph nodes on the same side as the main tumor. N2 continues with spread to the lymph nodes on the same side as the main tumor. The spread is more advanced and has gone to certain areas near the diaphragm. Stage 1 – T1N0M0: Mesothelioma has grown into o the pleura lining of the chest wall still staying on one side. It has had no spread to lymph nodes or distant organs. Stage 2 – T2N0M0: Mesothelioma has grown into the pleura lining of the chest wall on one side. It has also spread to the pleural coating of the diaphragm and the mediastinum. The cancer is not in the lymph nodes but has spread to the lung itself or the diaphragm. Stage 3 – T1 or T2 N1 or N2 Mo: Mesothelioma has grown into the pleura lining of the chest on one side and may or may not have grown into the pleural lining of the lung, mediastinum and diaphragm. It possibly could have invaded the lung itself or the muscle of the diaphragm. It has also spread to the lymph nodes. T3 N0 to N2 Mo: Mesothelioma has spread to the pleural lining of the chest on one side and has attaches itself to the first layer of the chest wall, it has also invaded the mediastinum or the pericardium. It may have or not spread to the lymph nodes in the chest on the same sides as the tumor. Stage 4 – T4 N Mo: mesothelioma has grown into the pleura lining of the chest on one side and has grown to more than 1 place. It has not spread to any distant organs and it could have or not spread to the lymph nodes. T3 N3 Mo: the tumor has or has not grown to nearby tissues. It has spread to lymph nodes and the opposite side of the tumor. It has not spread to any distant sites. Any T any N M1: It may have grown into nearby tissue. It may have not spread to the lymph nodes and has spread to distant sites.